Our lives have come to revolve around the seasons much more than when we were younger. 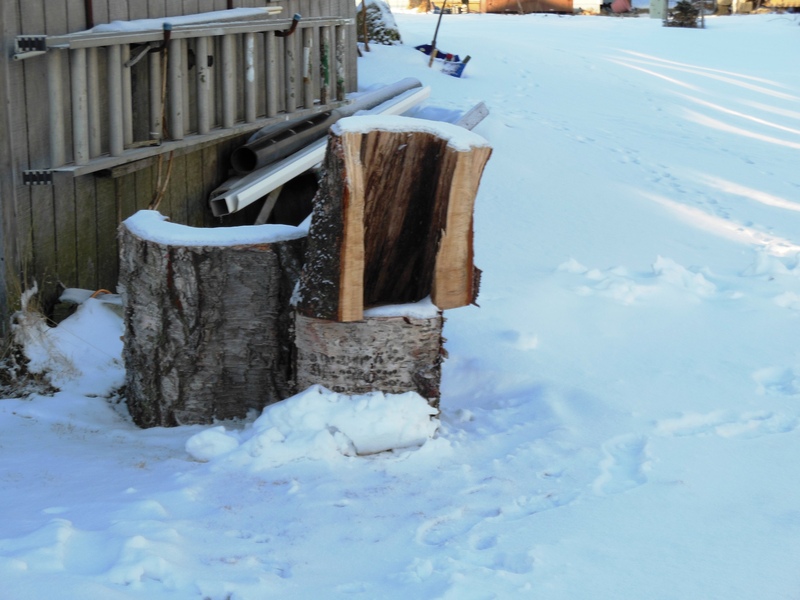 I’ve come to think of winter as the months that bring wood to our beaches so that we will have wood for our smokehouse during fishing season. Spring is when the plants start emerging, birds lay eggs, and the anticipation of good weather, calm seas, and fishing start ebbing in the corners of our minds. Summer, of course, is the time of plenty. Plenty to hunt and gather. Plenty to do. Fall is when we are racing against time to finish gathering the last of the berries and hoping for good weather to hold long enough to be able to get enough silver salmon for the family. Last September the husband and I were feeling quite fond of ourselves. We had successfully gotten some silver salmon. The weather was beginning to turn, so we decided it was time to take the boat out of the water for the winter. I will tell you that there are two days of the year that I dread more than any others. The day we put the boat in the water and, worse yet, the day we take it out. Husbands and wives should really not do this task together. Especially when you have a cheap husband who insists on doing everything as cheaply as possible. Out of principle. The boat trailer we use is a homemade trailer. It basically consists of a homemade frame with wheels. Lights and wiring that is not functional. And where most boat trailers have some sort of rail system where the boat is winched up to rest on some sort of frame that has little wheels for smooth movement of the boat, we have two huge sheets of what looks like Teflon, set in a “V”. No winch. When putting the boat in the water, we have to back it down the ramp and into the water deep enough so that when we slam on the brakes the boat will jerk and then slip into the water. When taking the boat out of the water, this system necessitates actually driving the boat up onto the trailer with enough power to get it up, but not enough to go through the back window of my car. Let me tell you that the cussing and screaming is embarrassing to say the least. I am traumatized beyond belief on those two days. So last September after we had successfully gotten the boat out of the water and backed up into the driveway, I was so pleased to have that done with for another season. It was then that my husband says that he feels like we forgot something. But he can’t think of what. Naturally, being the OCD candidate that he is, he finally slapped his forehead several hours later and exclaimed “We forgot to take the buoy and the anchor out of the water!” Sure enough, there was the buoy floating out from the beach about 300 feet. You can kind of make it out in the picture. It is pink. Many people leave their buoys and anchors out year round. They are not in the boat traffic path and it is one less thing that you have to do when you are ready to fish. We never have. But I was not about to go through the boat fiasco again. So it stayed in the water, wintering quite well. It was something that my husband would look at each morning when going to the beach, and something that my mother looked for out her kitchen window each morning that she got up as soon as there was enough light to see. Wouldn’t you know that on the 10th day of spring we would have a storm that was surprisingly stormy. And our darned buoy is gone. And worse, yet, we have no idea where the anchor is resting. Now the husband is busy hoping that the line broke where it attaches to the buoy, and thinking of what kind of gaff he needs to devise in order to be able to get that anchor back. I’m just shaking my head. Where Heaven is a local call. In the throes of summer, where temps range from the low 40’s to the mid 60’s, time flies by. It is a perfect time when the seas are just right, the clouds are high and scattered, the sun is shining, and the fish are running. The grass is lush and green and wildflowers are full of bumblebees. A spellbinding moment in time when the “other half” is patient and peaceful. 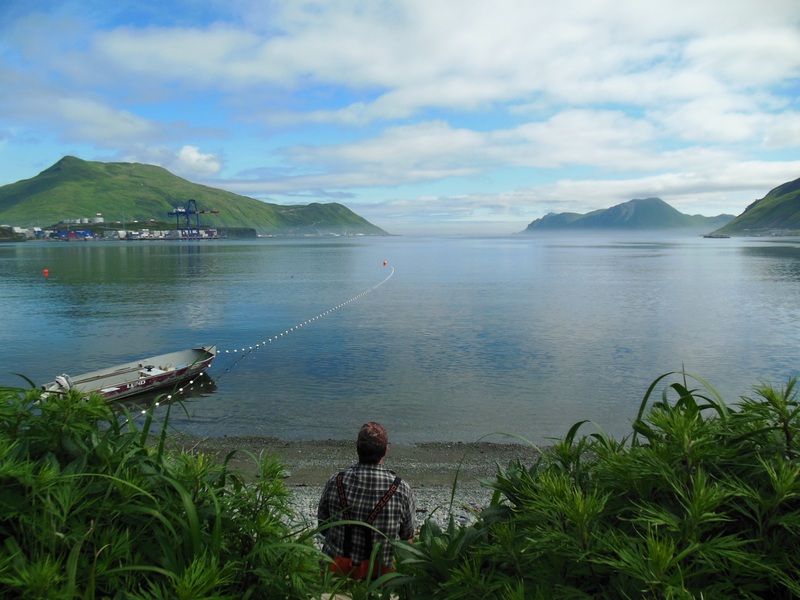 These are the times that I think of how my friend Tiny remarks on Unalaska’s spectacular beauty and how he believes that heaven is a local call. He is so absolutely correct. Wood in the Aleutians has always been gathered off the beaches. Driftwood. It has drifted here from somewhere else; somewhere that has trees. Because we don’t have trees. And we really don’t miss them. They tend to block the view. They are slightly claustrophobic. They blow down in the wind. Considering the fact that we have no trees, wood held a prominent position in our traditional culture. The most mathematically engineered boat ever constructed was made out of found wood. Our iqyan (kayaks) are considered second to none. The bentwood hunting visor was made out of found wood. Masks for ceremony, dancing, and storytelling were made out of wood. Tool handles were made out of found wood. Bowls and utensils were made out of wood. If you wanted to waste a good, huge piece of found wood, you could have used it for building part of your semi-subterranean dwelling; otherwise you could use a whale rib. We scour the beaches for cottonwood. It is the only wood my family supposedly uses for making smoked salmon. I say supposedly because my mother and I say to each other “Yes, that’s cottonwood. Well, I’m pretty sure that is cottonwood. Hmmm…maybe that is cottonwood.” Anyway the fish is good. As times change and our town becomes more populated, of course more people are going after the wood resource. It’s becoming harder and harder to find found wood. That is when having a husband who works for the airlines and having a sister who lives in Anchorage where they have trees comes in handy. We have had a couple of lovely shipments of cottonwood from Barbara. We, of course, share the smoked fish with her. Her latest shipment was a couple of chunks of birch. Considering that my husband, Caleb, bought my mom a new wood carving set for Christmas, and my mother and father bought Caleb a new wood carving set for Christmas, I think we will see some magnificent pieces coming to life from this newly found wood.